The International Criminal Court (ICC) has issued an arrest warrant for Sudanese President Omar al Bashir. The warrant details charges of crimes against humanity and war crimes, committed during the conflict in Darfur. The arrest warrant is an unprecedented move in the history of a conflict that, since it started in 2003, has seen more than 300,000 killed, thousands raped, and millions forcibly displaced. The decision, reached by the Pre-Trial Chamber of the ICC, was announced during a press conference held at the Court&apos;s seat in The Hague on Wednesday. President al Bashir has been urged to surrender himself immediately to face trial. "The law is clear. President al Bashir must appear before the ICC to defend himself. If he refuses to do so, the Sudanese authorities must ensure that he is arrested and surrendered immediately to the ICC," said Irene Khan, Amnesty International&apos;s Secretary General. The application for an arrest warrant against President al Bashir was made by the ICC Prosecutor Luis Moreno-Ocampo on 14 July 2008. It followed an investigation into the situation in Darfur, opened by the ICC Prosecutor on 1 June 2005. "This announcement is an important signal – both for Darfur and the rest of the world – that suspected human rights violators will face trial, no matter how powerful they are," said Irene Khan. Sudan&apos;s Constitution currently affords its head of state immunity from criminal prosecution while in office. However, no international instrument has ever recognized any immunity for genocide, crimes against humanity or war crimes. Sudanese authorities have a legal obligation to arrest anyone named in an ICC arrest warrant under Security Council Resolution 1593 (2005), which requires Sudan to cooperate with the ICC. 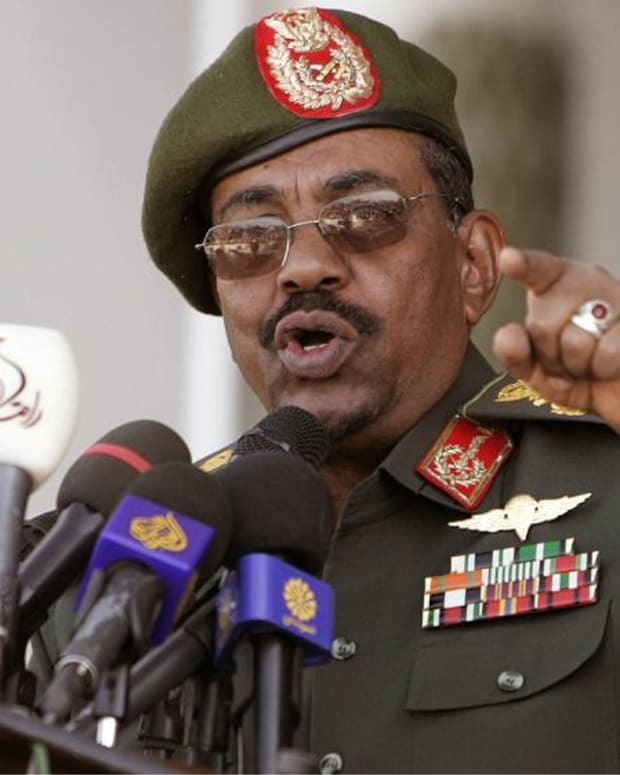 Amnesty International said that, should President al Bashir leave Sudan, the government of any country in which he finds himself has an obligation to deny him safe haven by arresting him immediately as a fugitive from justice and surrendering him to the ICC. "No one is above the law. If you are charged with a crime, you must stand up and face those charges in a court of law. President al Bashir will have the opportunity to do this before the International Criminal Court," said Irene Khan. Amnesty International is also campaigning for other arrest warrants issued by the ICC related to the human rights crisis in Darfur to be executed. The organization is calling for the arrest and surrender to the Court of Sudanese government minister Ahmad Harun and Janjawid militia leader Ali Kushayb. Both are suspected of war crimes and crimes against humanity committed in Darfur. The ICC issued arrest warrants against them in April 2007. Arrest Warrants Coming for 6 Bush Officials?